Navigating or creating decommissioning regulations can be challenging. TSB Offshore Regulatory Assistance Services are routinely employed for both consumer and government entities who look to overcome these challenges. TSB Offshore develops recommendations for the rules for onshore and offshore oil and gas facility decommissioning. 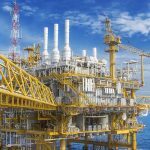 TSB Offshore helps plan for the decommissioning of onshore and offshore oil and gas facilities in compliance with all government regulations.